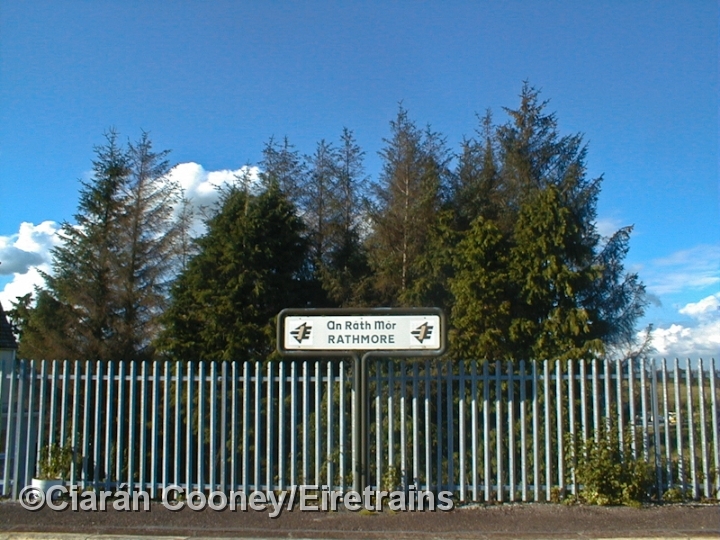 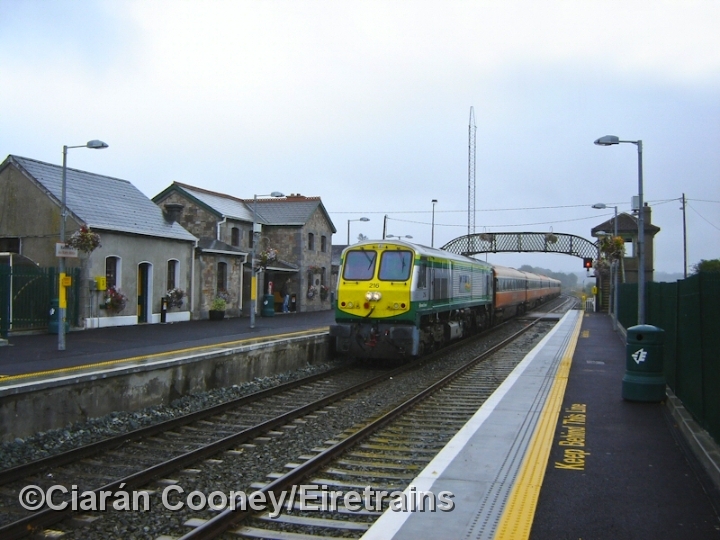 Rathmore, Co.Kerry, is located on the Great Southern & Western Railway's December 1854 built line from Mallow to Killarney. 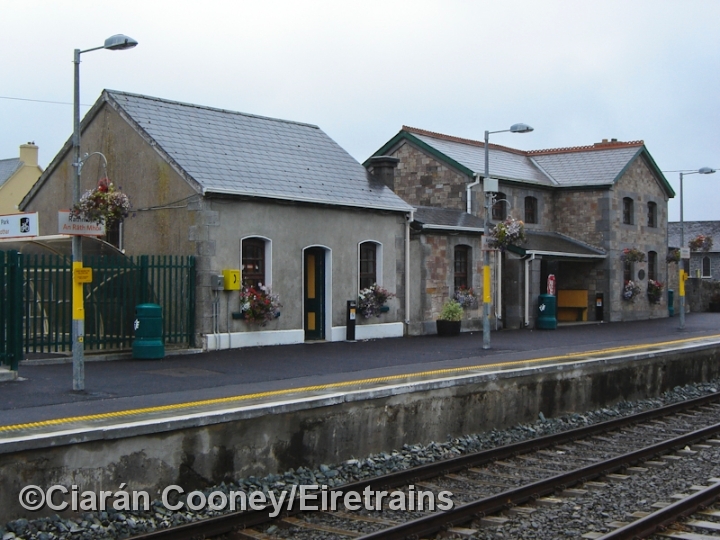 Rathdmore Station has both up and down platforms, with GSWR station buildings located on the down side. 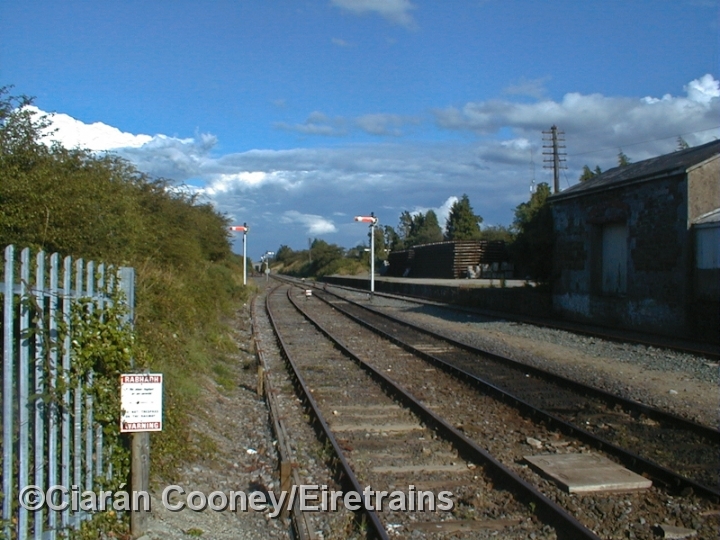 The former goods shed and yard was also on the down side at the east end of the station. 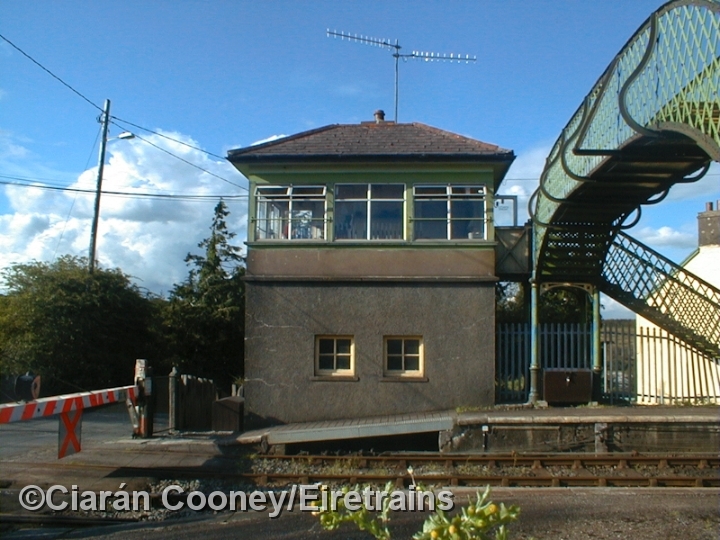 At the west end of the station is the Victorian footbridge, and now redundant signal cabin, located at the end of the up platform. 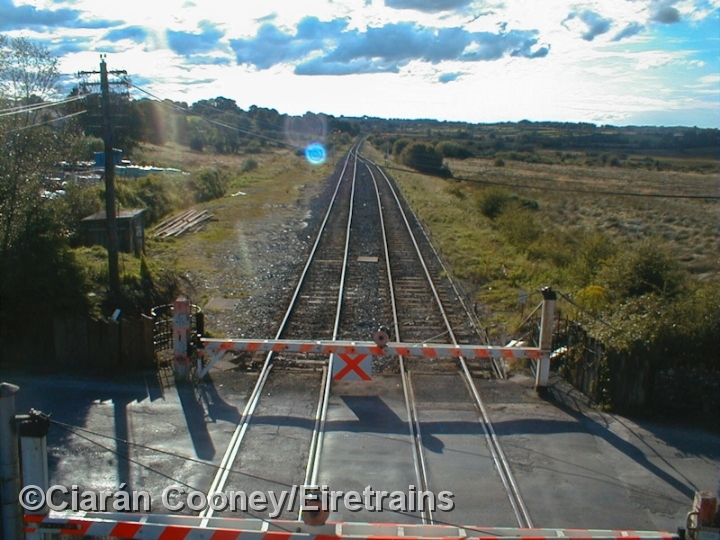 The adjacent gated level crossing was replaced in recent years by automatic lights and barriers. 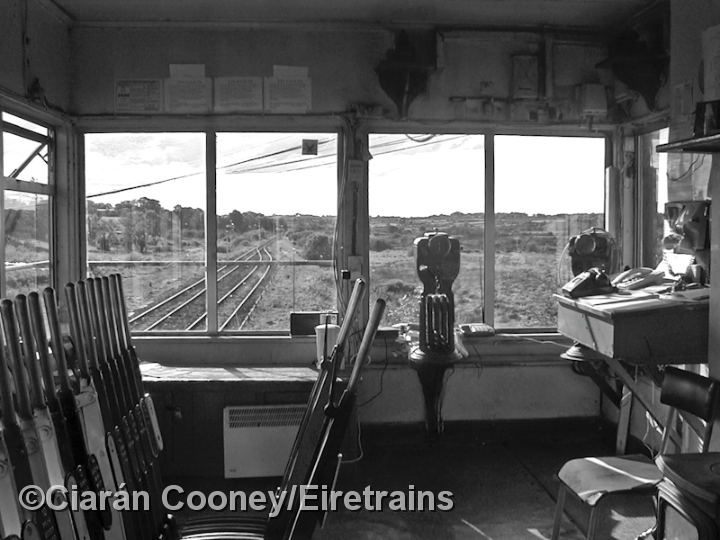 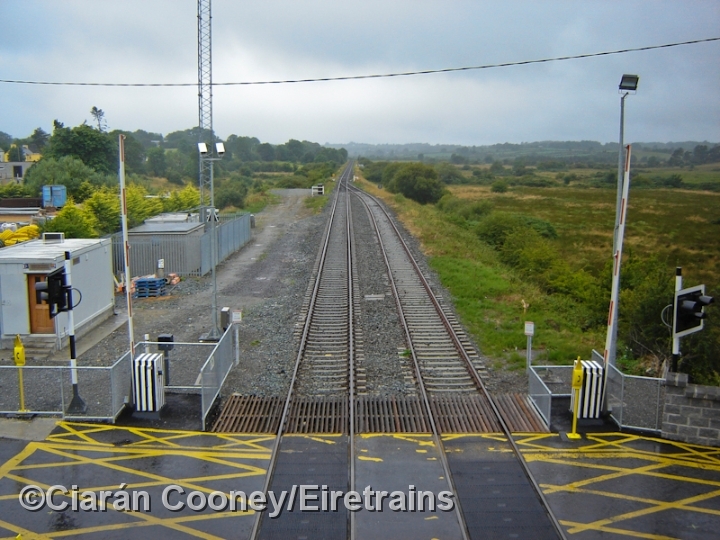 Most trains use the down platform, and both have been extended following upgrading of the Tralee line. 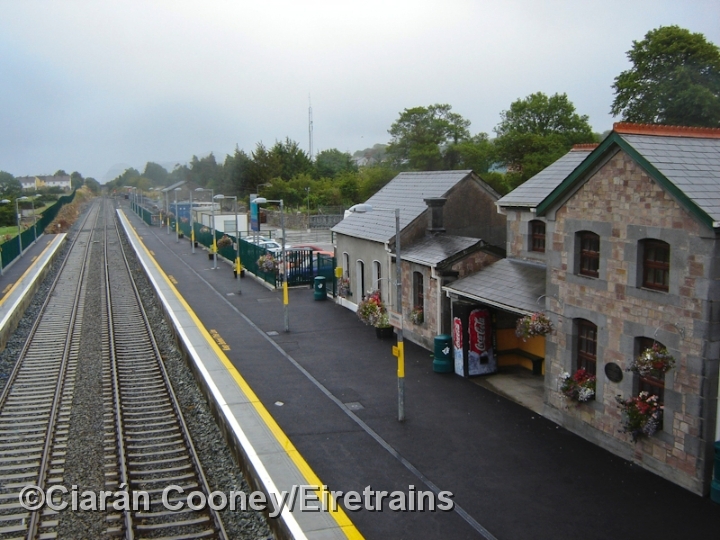 The station now only boasts a passing loop and one siding.